The Knights of Columbus have received on loan from the St. John Vianney Shrine, Ars, France, the saint’s “incorrupt heart” for a national pilgrimage of the United States. In June, 2009, Pope Benedict XVI declared “The Year of the Priest” in honor of St. John Vianney’s 150th anniversary of his death. When his body was exhumed to be entombed in the Shrines’s altar, it was discovered to be incorrupt. This tour of the patron saint of parish priests highlights efforts for repentance, reform, and renewal in the Church’s current situation. St. John Vianney’s heart will visit St. Clare of Assisi Roman Catholic Church, 250 East Hancock Street, St. Clair, PA 17970 on Friday, April 12, 2019. Noon – Reception of the Relic of St. John Vianney at St. Clare of Assisi Church by the Most Rev. Alfred A. Schlert D.D., Bishop of Allentown, with a concelebrated Liturgy the by Bishop with all the priests of the Diocese and priest visitors from surrounding dioceses. 1:30 PM to 5:30 PM – Praying of the Novena to St. John Vianney lead by various Knights of Columbus Councils from across the Diocese of Allentown. A portion of the novena will be prayed every half hour. Following the prayer, there will be a time for personal prayer with the relic. Two to three priests will be available for confession throughout the afternoon. Confessors are needed. 5:30 PM – Recitation of the Sorrowful Mysteries of the Rosary with a reflection of St. John Vianney. The rosary will be lead by the Rev. Adam Sedar, Secretary for Clergy, Diocese of Allentown, with the Grand Knights of the Knights of Columbus from Schuylkill County each leading a decade. 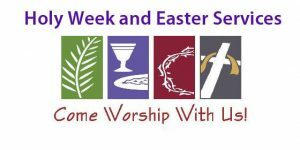 6:00 PM – Stations of the Cross for Priests & Vocations lead by the Reverend David James, Vicar General of the Diocese of Allentown, and assisted by the seminarians of the Diocese of Allentown. 7:00 PM – Solemn Evening Prayer of the Church lead by the Most Reverend Alfred A. Schlert, Bishop of Allentown, and assisted by the seminarians of the Diocese of Allentown. Parking…. the main church parking lot is located at the corner of Mill & Carroll Streets, a one block walk to the church. Traffic control will be present at this corner to direct motorists to the main parking lot. Why is our parish called “Divine Mercy”? The Divine Mercy image is a depiction Jesus based on the devotion initiated by St. Faustina Kowalska. “I promise that the soul that will venerate this image will not perish,” Jesus told Faustina, according to her diary, which has been studied and authenticated by the Church over several decades. “I also promise victory over enemies already here on earth, especially at the hour of death. I myself will defend it as My own glory.” (Diary of Faustina, 48). Jesus is shown in most versions as raising his right hand in blessing and pointing with his left hand on his chest from which flow forth two rays: one red and one white. The depictions often contais the message “Jesus, I trust in You!” The rays streaming out have symbolic meaning: red for the blood of Jesus (which is the Life of Souls), and pale for the water (which justify souls) (from Diary – 299). The whole image is symbolic of charity, forgiveness and love of God, referred to as the “Fountain of Mercy.” According to the diary of St. Faustina, the image is based on her 1931 vision of Jesus. A number of artistic renditions of the image have appeared since Faustina directed the painting of the first image in Vilnius, Lithuania. These are widely venerated worldwide, and are used in the celebration of Divine Mercy Sunday, observed in Roman Catholic, as well as some Anglican churches. The first Mass during which the Divine Mercy image was displayed was on April 28, 1935, the first Sunday after Easter (The Feast of Divine Mercy) and was attended by Sr. Faustina. Faustina Kowalska was a Polish nun who joined the convent of Our Lady of Mercy in Warsaw 1925. In her diary, which was later published as the book Diary: Divine Mercy in My Soul, Faustina wrote about a number of visions of Jesus and conversations with him. Her confessor was Michael Sopocko, a priest and a professor of theology. In 1930, Faustina was assigned to the convent in Plock, Poland. Faustina stated that while she was in her cell on the night of Sunday, February 22, 1931, Jesus appeared to her as the ‘King of Divine Mercy”, robed in a white garment. “Paint an image according to the pattern you see, with the signature: “Jesus, I trust in You”. I desire that this image be venerated, first in your chapel, and then throughout the world. I promise that the soul that will venerate this image will not perish”. Another nun, Sister Christine, later stated that rays of light from the window were visible that night and attracted the attention of people standing on the other side of the street, implying that this was a “physical” appearance rather than an interior vision. Not knowing how to paint, Faustina approached some other nuns at her convent for help but received no assistance. She attempted to sketch the image with charcoal on canvas but had little success. In her diary, she wrote that Jesus told her that she would receive “visible help” with the task. In November 1932, Faustina left Plock and returned to Warsaw, and in May 1933, she was sent to the convent in Vilnius to work as the gardener. In Vilnius, Faustina met Father Michael Sopocko, the newly appointed confessor to the nuns. Sopocko supported Faustina’s efforts and arranged for the first painting of the image by the artist Eugene Kazimierowski, which was the only rendition Faustina saw. After Faustina’s death, a number of other artists painted their own versions of the image, with the depiction by Adolf Hyla being among the most reproduced. Not in the beauty of the color, nor of the brush lies the greatness of this image, but in My grace. — Words attributed to Jesus by Fatima in her diary. After the canonization of Faustina in April 2000, devotion to the Divine Mercy and the image has increased. The devotional following of the image and Faustina’s message has been stronger among Catholics at large than among theologians. Author Benedict Groeschel considers a modest estimate of the following in 2010 to be over one hundred million Catholics. “The two rays denote Blood and Water. The pale ray stands for the Water which makes souls righteous. The red stands for the Blood which is the life of souls … These two rays issued forth from the very depths of My tender mercy when My agonized Heart was opened by a lance on the Cross”. “I am offering people a vessel with which they are to keep coming for graces to the fountain of mercy. That vessel is this image with the signature; “Jesus, I trust in You”. Catholic devotions thus stress the importance of the image as a “conduit for grace” as part of the Divine Mercy message. Faustina’s diary also relates the image to Divine Mercy Sunday, Faustina wrote that Jesus told her that he wanted the Divine Mercy image to be “solemnly blessed” on the first Sunday after Easter; and that Sunday was to be the Feast of Mercy. Pope John Paul II instituted Divine Mercy Sunday and placed it on the General Roman Calendar. The Divine Mercy image is often carried in processions on Divine Mercy Sunday, and is placed in a location in the church so that it can be venerated by those who attended the Mass. The veneration of the Divine Mercy image also takes place in conjunction with the Divine Mercy Chaplet and Novena. The Vatican biography of Faustina states that the veneration of the Divine Mercy image is part of the second component of her message, namely “entreating God’s mercy for the whole world”. Praying before the Divine Mercy image (with the signature “Jesus I trust in you”) is not only encouraged in Catholic devotions, but is mentioned as a partial condition for some of the indulgences associated with Divine Mercy Sunday. The first painting was by Eugene Kazimierowski, under the supervision of Faustina and her confessor, Michael Sopocko, in Vilnius. After completion in 1934, the painting hung in the Bernardine Sisters’ convent near the church of St. Archangel Michael, where Sopoko was a rector. In her diary, sister Faustina notes that Jesus told her to inform her confessor that the proper place for the painting was in a church, not in the hallway of a convent. The first public exposition of the Kazimierowski rendition was on 26-28 April 1935, at the church of the Gate of Dawn in Vilnius. In 1937, on the Sunday after Easter, the current Feast of Divine Mercy, the picture was put on display beside the main altar in St. Michael’s Church, Vilnius. The Soviet authorities, having occupied Lithuania, in 1948 closed St. Michael’s Church and destroyed the convent. The painting remained in the church building until 1951, when two pious women from Vilnius Brone Miniotaite and Janina Rodzevic bought the canvas from a guard and gave it to the parish priest at the Dominican Church of the Holy Spirit for safekeeping. Professional restoration in the spring of 2003 left the image exactly as it was when Eugeniusz Kazimierowski painted it under the direction of Sister Faustina. Sopocko was a professor of theology at the University of Vilnius and introduced Faustina to Kazimierowski, who was professor of art there. Kazimierowski had painted religious images before, but this task was difficult for him. Sopocko himself posed as Jesus for the image, wearing an alb, and both he and Faustina regularly visited the painter’s workshop. The final painting satisfied neither Sopocko nor Faustina, who later wrote that Christ told her it is not that important that the picture be beautiful. The true beauty, Christ said, would be the blessing that He would bestow to the people by the means of the painting. Another painting of the Divine Mercy was made by Adolf Hyla, as a votive offering. Through painting this picture, Hyla expressed his gratitude for the survival of his family during World War II. Hyla was given the descriptions from Faustina’s diary by the nuns at the convent, and a small copy of the first painting. Hyla’s image is somewhat different from Kazimierowski’s as the former figured Jesus as a “Divine Physician”, walking the earth and healing people. He has Jesus approaching the viewer instead of merely standing. Christ’s right hand is lifted up high in benediction, and He is looking into the eyes of the viewer. The original version of this painting had a country landscape in the background, which was removed in a later replica as it was deemed “non-liturgical”. The Hyla rendition is also called the “Krakow Divine Mercy Image” because it is kept in the sanctuary at Krakow-Lagiewniki. Before Adolf Hyla offered his votive painting, the sisters had commissioned Stanislaw Batowski to paint a third version. This was lost in a fire, and Batowski painted a fourth painting which arrived at the convent at almost the same time as Hyla’s. Cardinal Sapieha, who happened to be in the convent then, selected the Hyla painting because it was a votive image. A number of other artists have painted the image, but Hyla’s rendition remains the most reproduced one. “The image of The Divine Mercy, painted by Adam Styka (1957), is displayed in the Sanctuary of The Divine Mercy at the Congregation of Marians in Stockbridge, MA USA”. (Diary pictures of images). A popular image was created in 1982 by American artist Robert Skemp. This rendition depicts Jesus standing in front of an arched doorway, with a more pronounced halo about his head. The Skemp and Hyla images are the most ubiquitous depictions found in the Philippines, where the devotion to the Divine Mercy is a popular one. The Divine Mercy Shrine, in El Salvador City, Phillipines was built in 2008, and has a 15.24 metre (50 foot) statue of the Divine Mercy towering above the shrine. In 1959 the Vatican banned the image and devotion to it because of a number of factors. Some Polish bishops questioned Sr. Faustina’s’ claims and were uncomfortable with the image’s similarity to the red and white Polish flag. Polish priests were reported to be interpreting the rays as a symbol of the flag. The ban on the image and devotion to it was only lifted on April 15, 1978, due to pressure from future Polish pope, Karol Wojtyla, who was a great advocate for Sr. Faustina.